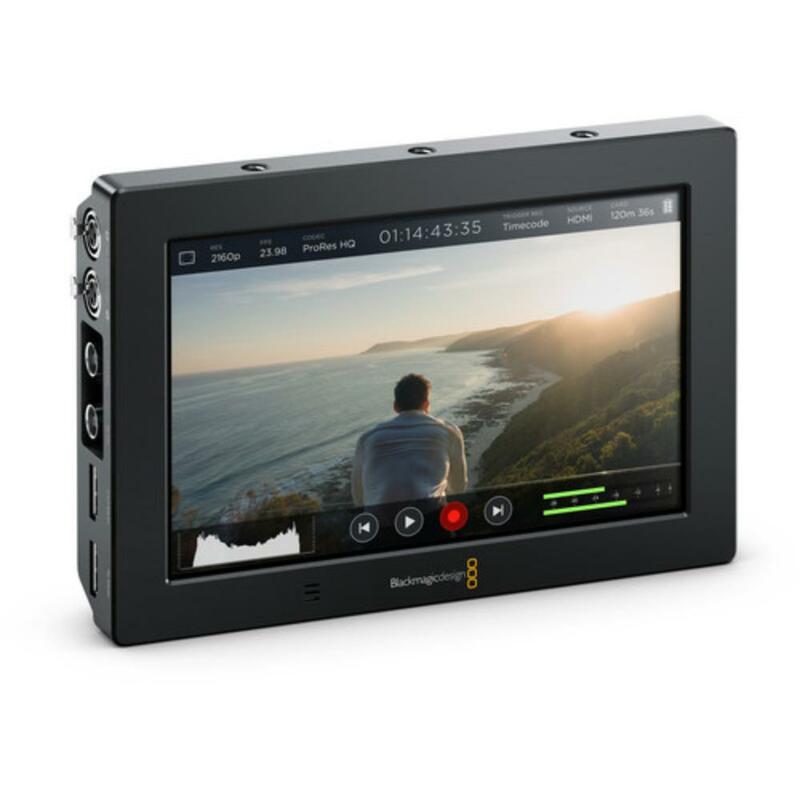 The Blackmagic Video Assist 4K 7" Recording Monitor features both SDI and HDMI connections, making it easy to use with a large variety of cameras. 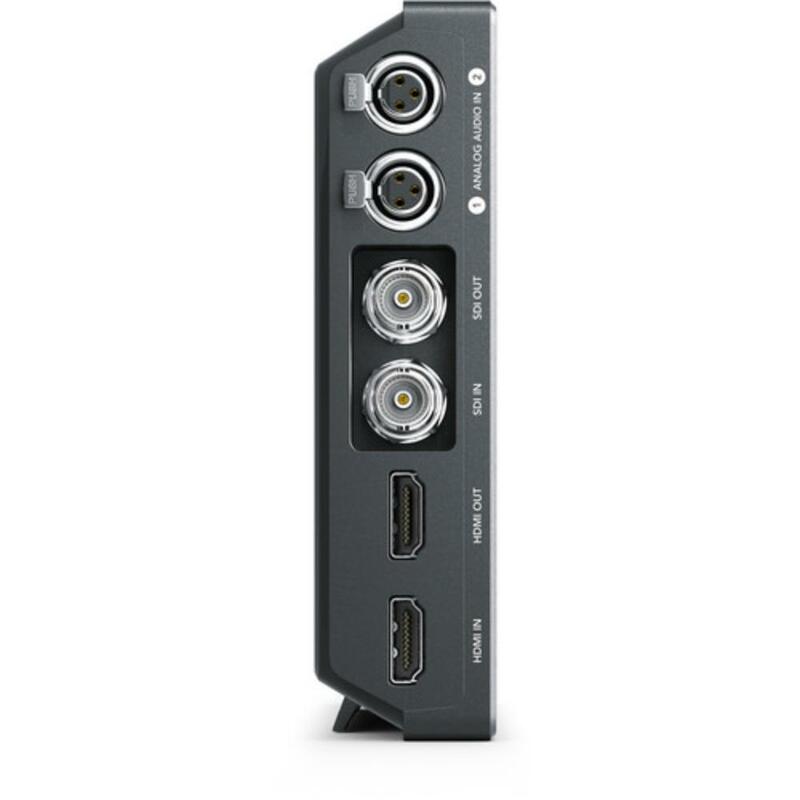 It features dual mini XLR inputs for attaching external mics, a built-in speaker, and dual SD card slots (cards not included, see Notes tab for compatibility). When one card is full, it automatically continues recording onto the next one. Sound is recorded onto the same file as video so you don't have to worry about AV sync between separate audio and video files. The monitor also acts as an interactive touchscreen with tap and swipe gestures for changing settings. The LP-E6N battery slots allow for hot-swapping so that you never have to stop recording and/or monitoring. There are several mounting points along the edge of the monitor for easy attachment to even custom rigs. This is an all-in-one portable recording monitor that is ideal on set as well as out in the field. 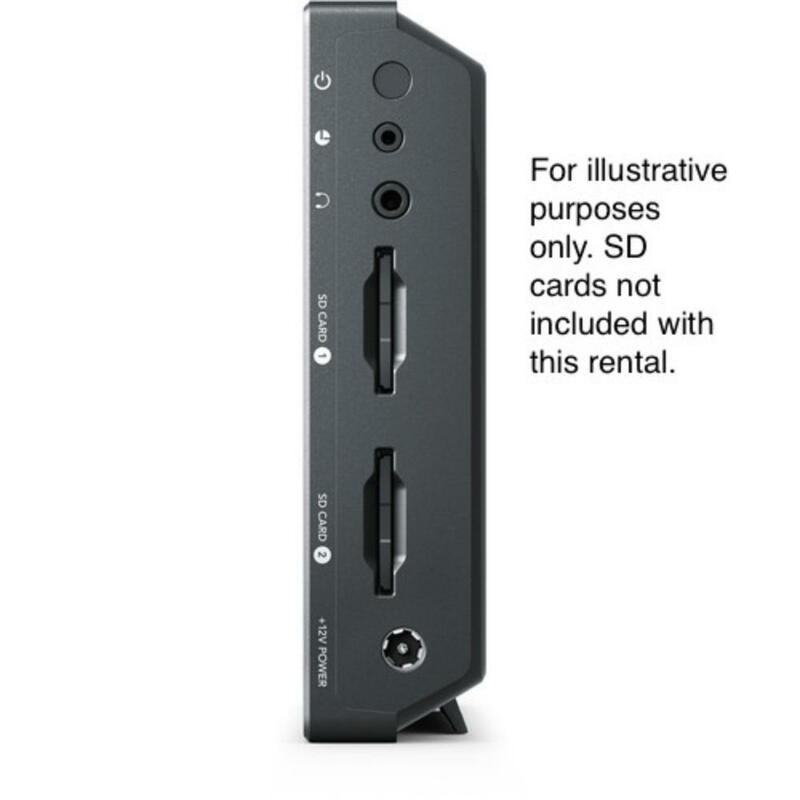 • This rental does not include the 65GB SD card. 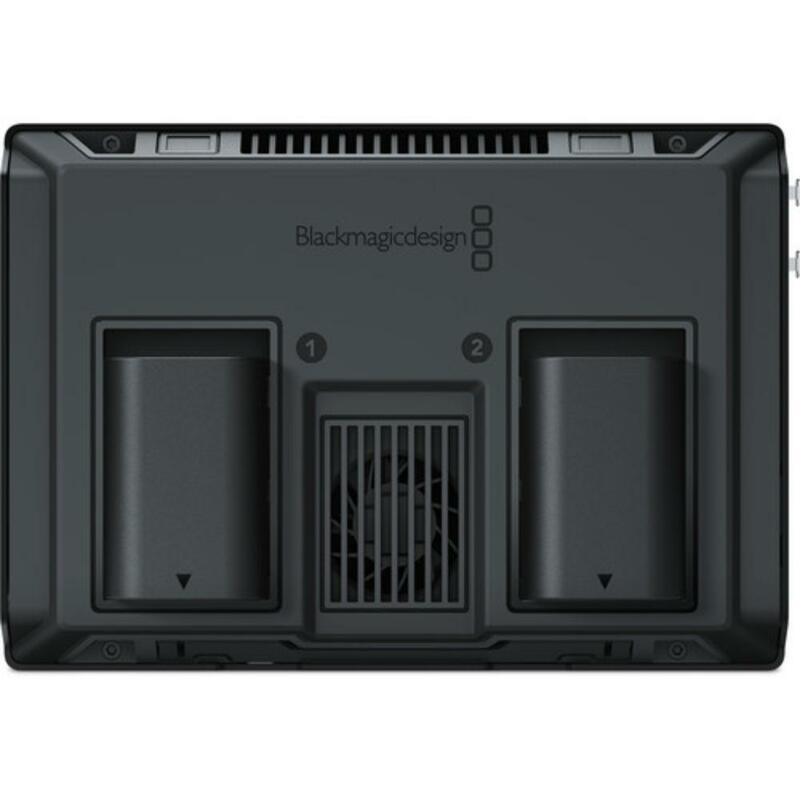 You will want to rent several of these cards because they are good for only 9 minutes of 4K recording. 7 cards will allow you to record approximately 1 hour and 3 minutes' worth of footage. There are very few SD cards on the market right now that are compatible with this monitor, so we encourage you to rent these.